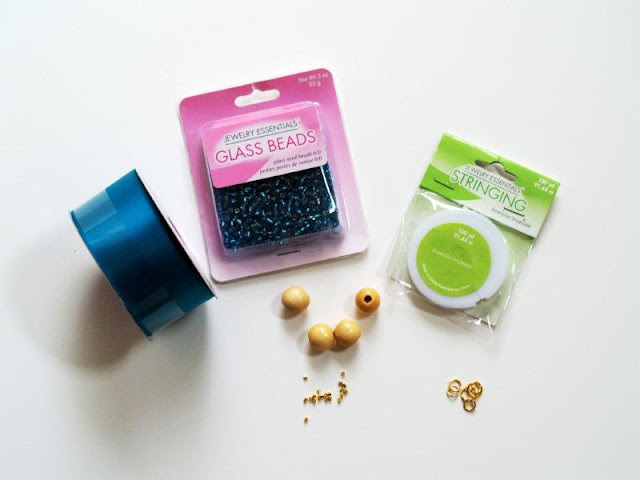 Start by stringing your beads. Cut an 11″ piece of stringing cord. 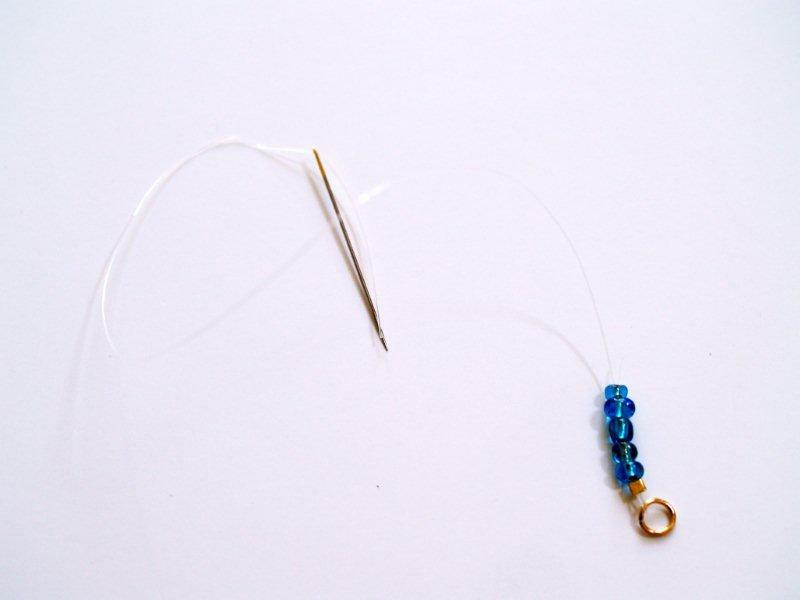 Thread beads onto the cording – it will help control the cording if you thread the loose end through a needle. Continue threading beads until your cord is about 8 inches. 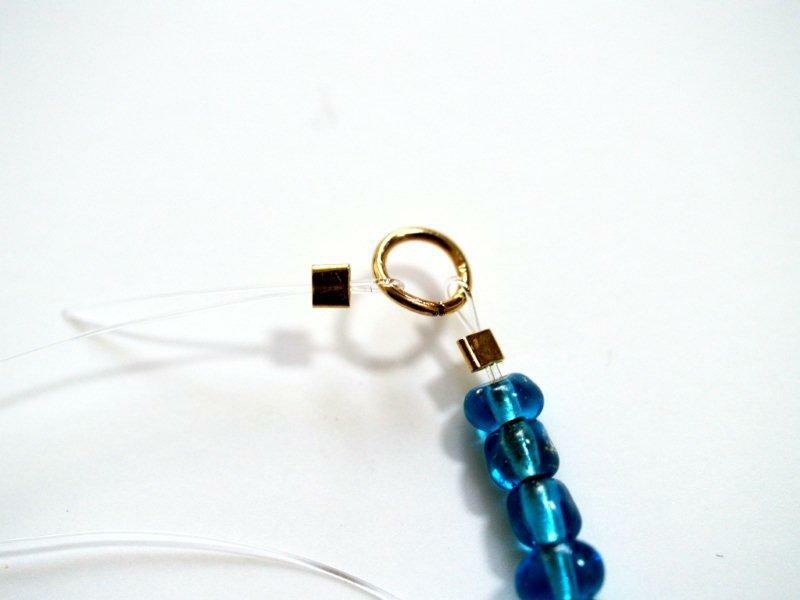 Finish the cording the same way you did the other end, with a crimp bead and jump ring. 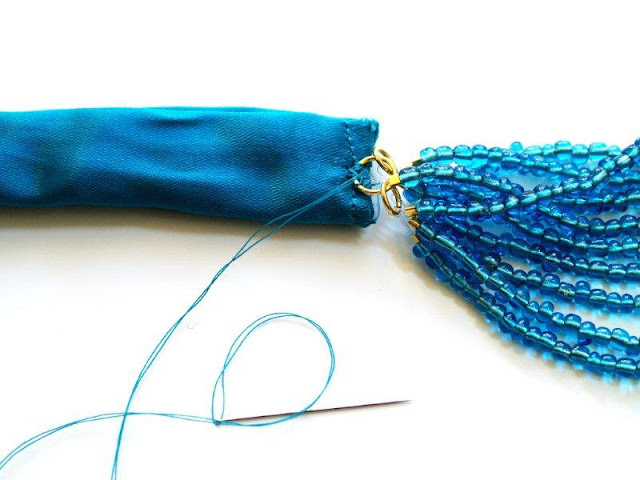 Cut your cording so you have about one inch left and feed that back through your beads. Continue adding strands and beads until there are five strands on the jump rings. Make a second group of five strands. Link the two strand groups together with a single jump ring on each end. It might seem to have made more sense to added all the strands to one large jump ring but I was afraid that they wouldn’t lay straight – that all those loops on one ring might be too much. 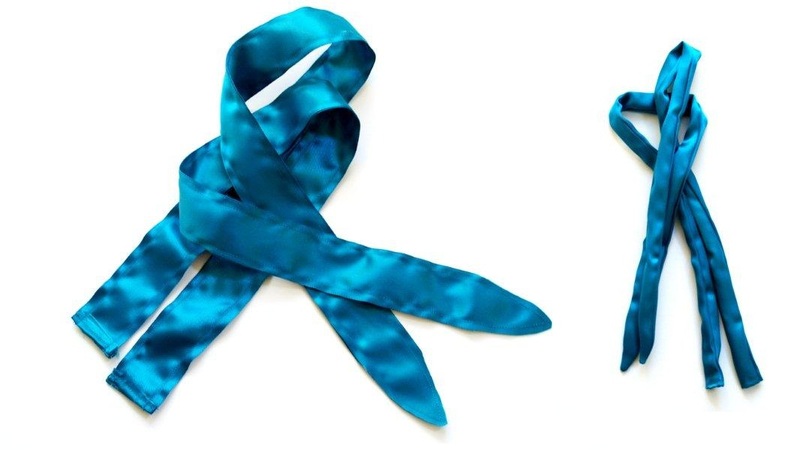 Cut your ribbon into four 28″ pieces. Turn up one end of each of the strips and sew the edge down to hem it, about 1/4″. Turn the strips right side out. Press the strips lightly. Push the ring and strands into the casing so it begins to fold over itself. 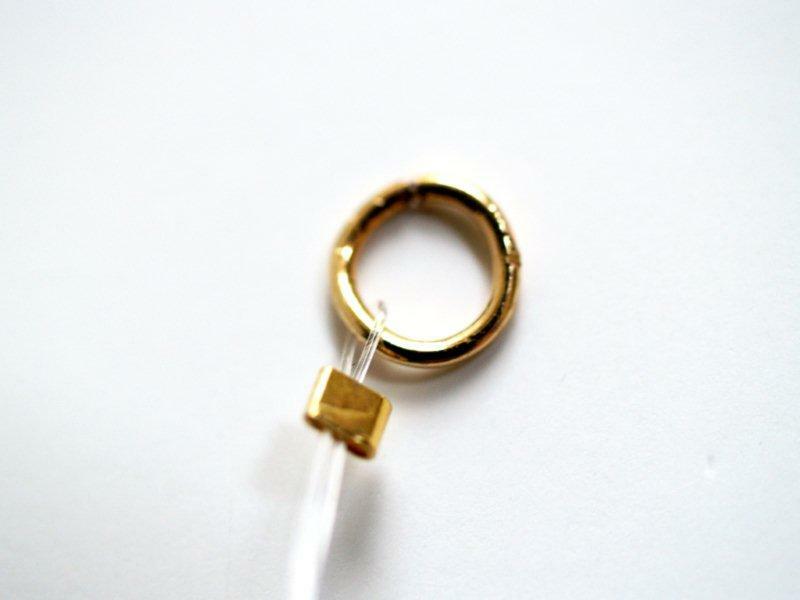 Work the strand into the casing so the ring is about one inch in. 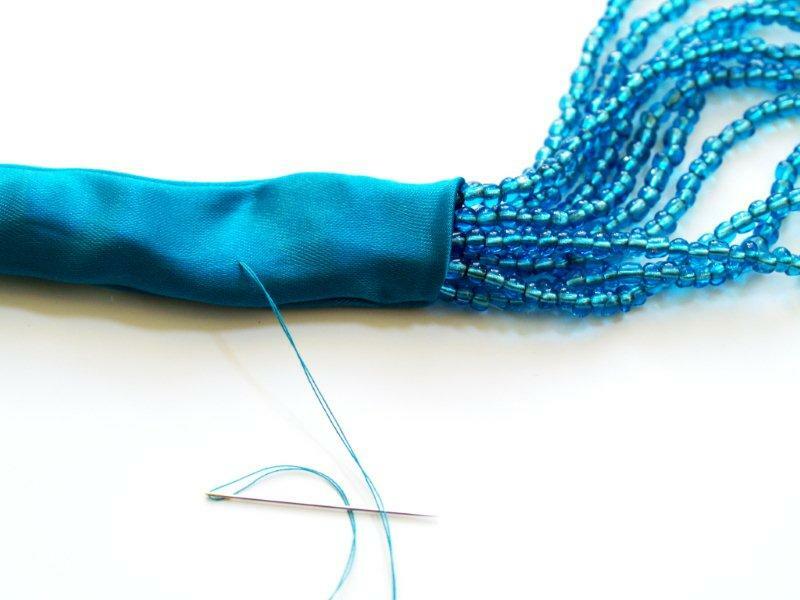 Insert the needle into the casing and bring it out at the point of the hem and ring. Make a few stitches sewing the ring and hem in place. 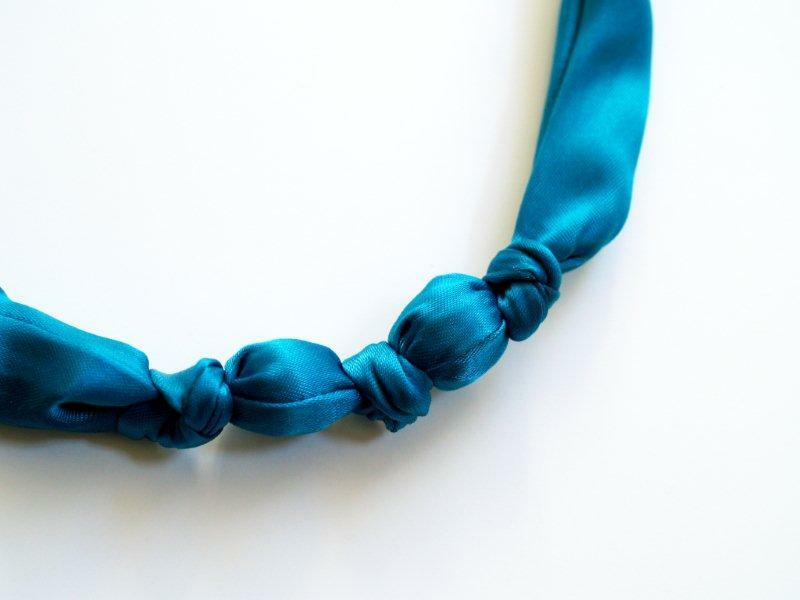 Knot and clip your thread. 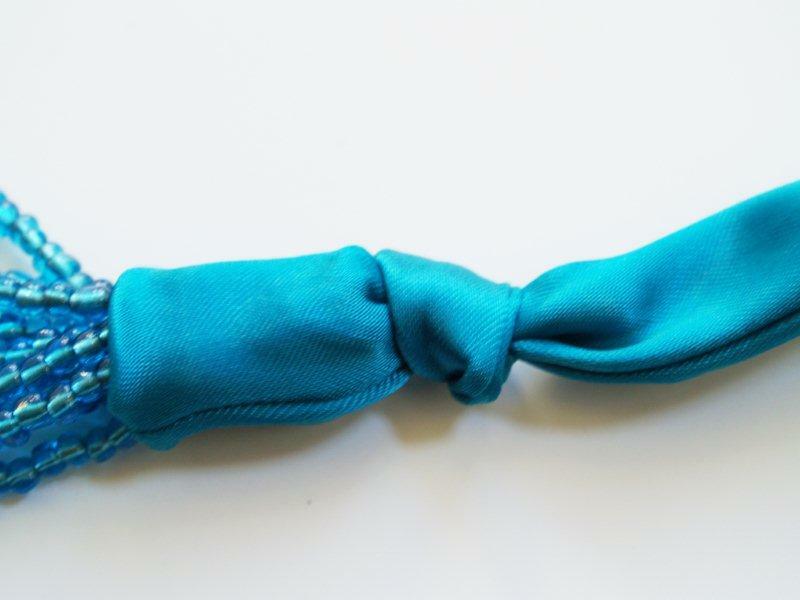 Make a knot in the ribbon casing so that it covers your stitching. Push one of the beads down that are in your casing already up against the knot. Tie another knot on the other side. 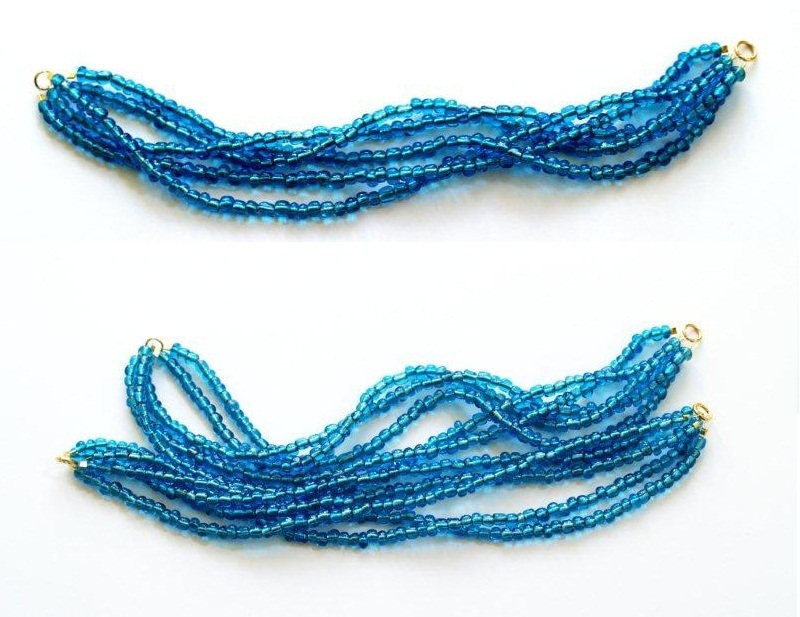 Repeat for the last bead. So you should have three knots and two beads between them. 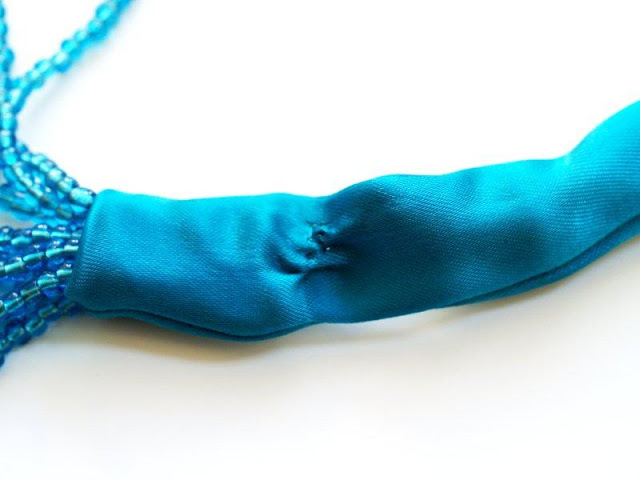 If you’d like the necklace a bit longer, you can just knot the end. I like it shorter so I tied a bow. Tada! 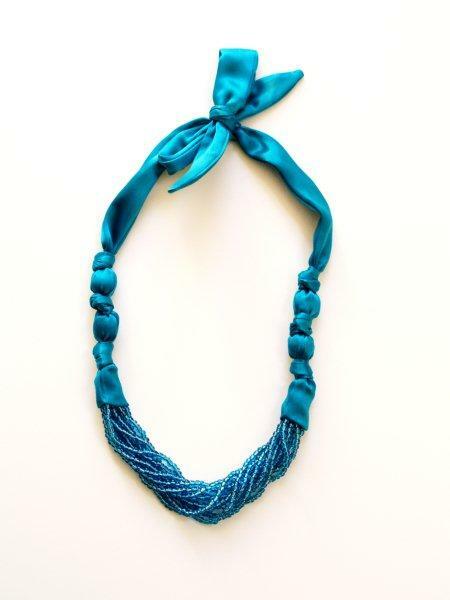 Your Anthro Necklace is finish! All photos are from www.flamingotoes.com. Credits to the creative owner. 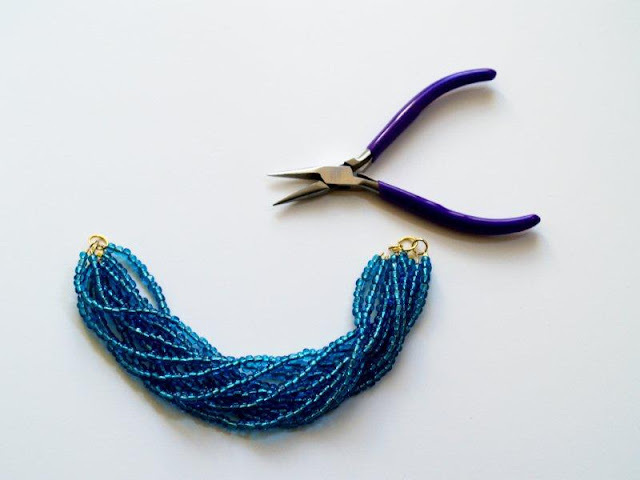 Nice necklace, nice tutorial! Thank you! Wow, looks really nice, great diy! 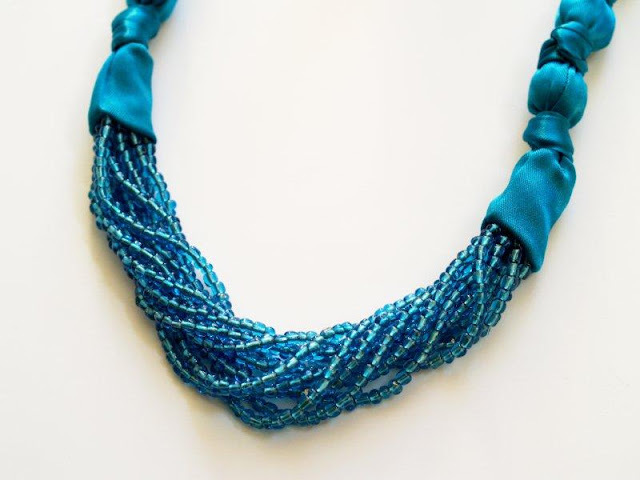 Great tutorial :) Amazing necklace! That's such a good idea! great DIY!!! love the necklace! that is so lovely! i love the color. Creative post! That necklace is beautiful! wow this is good... i like! !